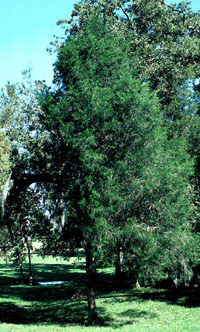 Southern red cedar grows near water or in areas with a very shallow water table. It is found in southeastern Texas in moist, sandy soils. 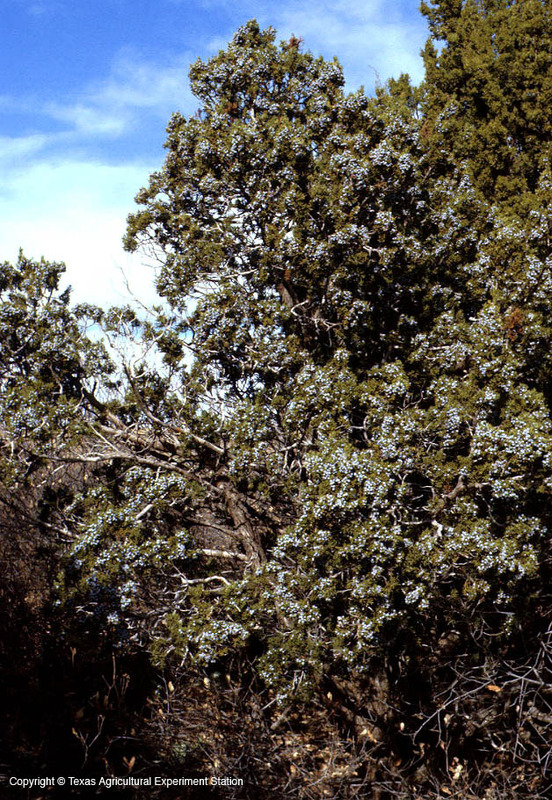 It has slender, pendulous branches and most often a single trunk. Southern red cedar is closely related to eastern red cedar, but it can sometimes have a more open habit, and the bright blue cones of southern red cedar are much smaller.